Approximately half of the U.S. population has some form of venous disease, which includes (but is not limited to) varicose veins. According to Dr. Cindy Asbjornsen of the Vein Healthcare Center in Maine, there’s plenty one can do to alleviate the symptoms of vein disease and prevent them from getting worse. 1. Wear loose-fitting clothing. 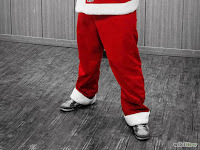 Santa’s red suit, for example, is roomy and comfortable and wouldn’t impede circulation in his lower body. 2. Wear comfortable shoes. Shoes (or boots) with high heels can shorten the muscles in your calf and prevent deep veins from working at their full capacity. 3. Sit properly. Focus on good posture and avoid crossing legs or sitting in ways that can compress veins for prolonged periods, such as sitting at the mall or in a sleigh. 4. Don’t smoke. Smoking (even pipe smoking) and exposure to second-hand smoke constricts veins and affects overall circulation. 5. Elevate the legs above heart-level as often as possible. Perhaps with a glass of milk and a plate of cookies. More and more, patients are turning to their computers (and mobile devices) to gather information about health-related topics. But don’t forget about “good ol’ fashioned” books! There are a number of publications that can help people make informed decisions about their leg health and overall wellness. 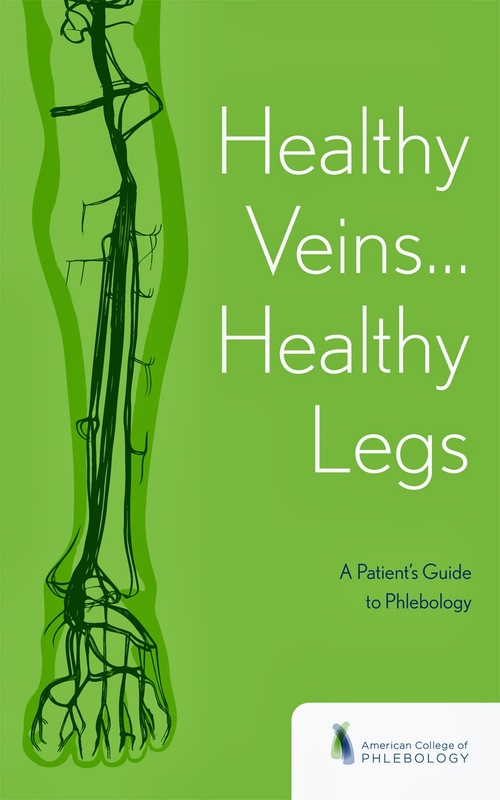 Published by the American College of Phlebology (ACP), Healthy Veins…Healthy Legs was written by established vein specialists around the country. The Vein Healthcare Center’s own Dr. Cindy Asbjornsen contributed the chapter about risk factors and other causes for vein problems. 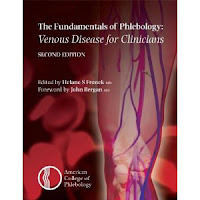 The book gives patients a comprehensive look at vein disease, plus practical tips for prevention and management. Many VHC patients turn to Understanding Venous Disease to learn more. 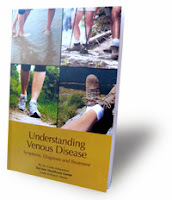 The book, written by Dr. Asbjornsen, provides an overview of venous disease, including complications and the latest procedures. It also discusses alternative and conservative treatments. Another consumer-friendly book is Say Goodbye to Varicose Veins & Spider Veins Now! by Dr. Greg Martin, a board certified phlebologist in Georgia. The book is written in a very accessible style that’s easy to understand. For health professionals, the third (and latest) edition of Fundamentals of Phlebology: Venous Disease for Clinicians is soon to come out. It is considered “the Bible” for phlebologists other allied healthcare professionals who incorporate venous disease treatment in their practices. For many years, most patients solely accepted the traditional Western world approach to medicine and health. A lot has changed in the last two decades. Remedies that many once regarded as “wacky,” such as acupuncture and meditation, are now quite common. Ask any kid and she can show you at least one yoga pose. There are alternatives in vein care, as well. 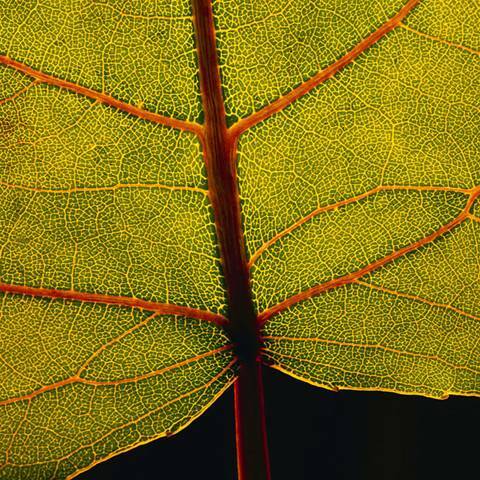 While there are proven, minimally invastive treatments for venous disease— endovenous laser ablation (EVLA) and sclerotherapy, chief among them— there is growing interest in the effectiveness of herbal supplements and alternative medications. Current research on these and other herbs is promising, but it’s important to remember that while herbal treatments may help eliminate symptoms, their benefits are limited to the period of time that the medication is being taken. They do not fix the underlying cause of the symptoms. Something else to note: alternative medications are not regulated in the U.S. If you are considering taking them, understand the proper dosage recommendations, risks, and side effects. Some herbal supplements can be toxic if taken improperly. Work with your doctor (ideally, a board-certified phlebologist) and stay safe! In our last post we discussed a number of ways to alleviate the pain and discomfort of venous disease right away. Here are four more ways to make your legs feel better and prevent the progression of symptoms. 1. Walk. Walking causes the rhythmic contraction of calf muscles and helps promote blood flow to the heart. Walk at least 30 minutes every day – all at once, or in shorter increments. 2. Take a break. Take frequent walking breaks to avoid sitting or standing for periods of more than two hours. 3. Wear compression stockings. 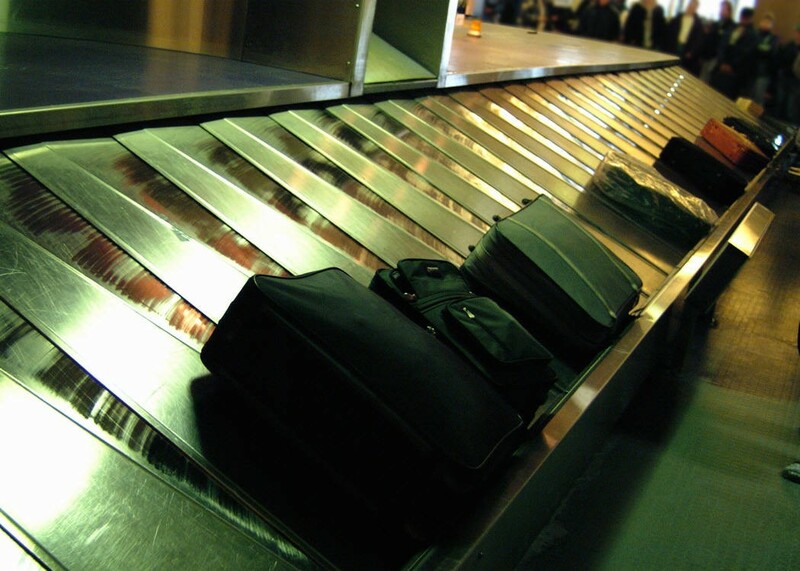 Wearing compression stockings purchased from your pharmacy will help promote the flow of blood when you are flying, on your feet for long periods, or carrying heavy loads. 4. Know your history. Women with a family history of vein disorders, or those who have relatives with varicose veins, should wear compression stockings during menarche and menopause, and during pregnancy – most importantly, during the first trimester. If you are experiencing signs of venous disease, such as spider veins, or swelling or pain in the leg, considering seeking professional help. A vein specialist certified in the field of phlebology (the branch of medicine that deals with vein health and diseases) can evaluate your vein problems and offer a range of treatments, whether a minimally invasive procedure, or a more conservative approach. There are a number of treatments for venous disease (including varicose veins) that are outpatient procedures, minimally invasive, and virtually pain-free. But did you know that there are things you can do right now, on your own, to alleviate discomfort? These techniques may even help prevent the progression of symptoms. 1. Elevate. Elevate your legs above your heart – for as long as 30 minutes, or as briefly as three minutes – as often as possible. The best time is after you have been standing or after a hot shower. 2. Wear loose-fitting clothing. Avoid tight-fitting clothes around your legs and waist. It will help by not impeding circulation in your lower body. 3. Avoid high heels. High-heeled shoes shorten the muscles in the back of your leg and prevent deep veins from operating at their full capacity. 4. Sit properly. Focus on good posture and avoid crossing your legs or sitting in ways that can compress veins for prolonged periods. 5. Don’t smoke. Smoking and exposure to second-hand smoke constricts veins and affects overall circulation. These are just some of the things you can try if you are experiencing signs of venous disease. Also consider contacting a board certified phlebologist (vein specialist) for a screening and evaluation, or to find out more about the risks, prevention, and treatment of venous disease. If left untreated, vein issues today can possibly lead to larger medical problems tomorrow. Is it time to get a second opinion? One way to take control of your own vein health (and overall health) is to seek a second opinion. Second opinions are common in the field of medicine, including the area of vein health. In fact, second opinions are an essential part of effective diagnosis and treatment of venous disease. In recent years, there have been many new developments in the treatment of varicose veins and other vein problems, and some doctors may not be familiar with minimally invasive treatment options, such as ultrasound-guided sclerotherapy, or endovenous laser ablation (EVLA). If you have been told that there is no treatment for your venous symptoms-- or, if you have been told that your venous condition will resolve itself without any intervention-- you may be a good candidate for a second opinion. Learn more about second opinions and some of the treatment options available, and take control of your vein health! 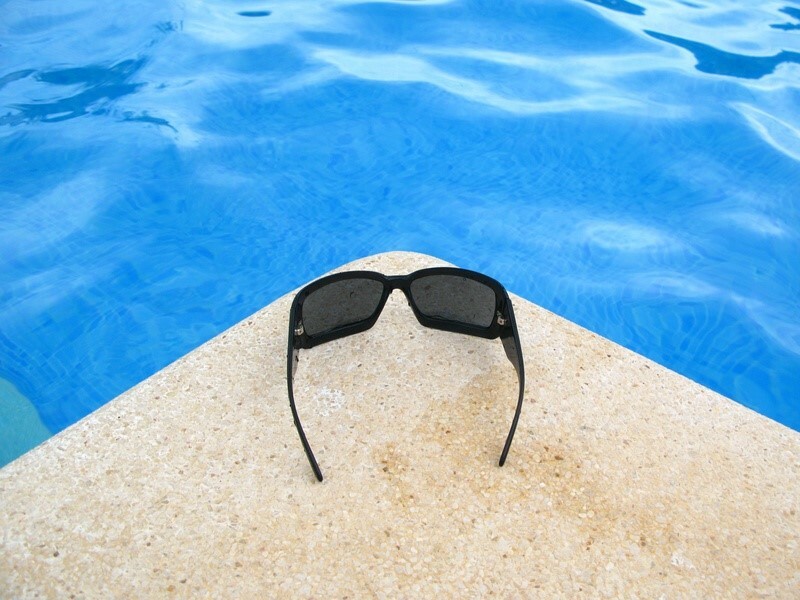 For those suffering from the effects of vein disease, including varicose veins, the dog days of summer are the perfect time to consider treatment. Summer is often full of activities and busy schedules, but there is never a good reason to procrastinate when it comes to good health. Plus, if the appearance of varicose veins is a concern, scheduling an evaluation with a certified phlebologist now can allow plenty of time to learn about venous issues and review options for treatment so you’ll be able to show off your legs next summer. 1. Health history. Patients are asked to describe the current state of their veins, what makes their veins feel better, and how their quality of life is affected. Board certified phlebologists don’t just stop at the legs but rather review all of the patient’s systems from head to toe. 2. Other considerations. Past medical, family, and surgical histories are also taken into account, as well as a social history. Details about lifestyle— whether or not a patient smokes, runs marathons, or stands for his/her job all day, for example— are all relevant to good venous care. 4. Ultrasound mapping. The veins of the lower legs are evaluated using ultrasound waves to see which veins have flow going in which direction. A healthy vein will only allow flow from the feet towards the heart. Faulty veins are often connected, and finding the “source” of the problem is a complicated, but critical, step in establishing the site where treatment should start. 5. The whole picture. Once the evaluation is complete, the whole picture should be taken into account before determining the best treatment for the patient. 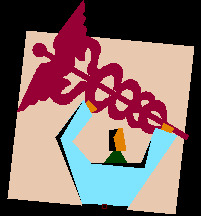 The doctor will present the patient with all of the potential options, including conservative treatments[http://veinhealthcarecenter.com/treatment-options.php?Other-4]. In the end, the patient decides how he/she wants to proceed. 6. Timing. Consultations generally take between 45 to 90 minutes, depending upon the extent of the problem and whether or not an ultrasound occurs in the same visit. 7. Pre-visit paperwork. New patients can prepare for their first consultation by filling out any required paperwork ahead of time; filling it out at the office will just delay their appointment— and other patients too. 8. Removing socks and shoes. Patients should also know that they will be asked to wear a short garment and to take off socks and shoes. Doctors need to visually inspect the patient’s legs and feet, so they must be adequately exposed. 9. Drink water. It’s also helpful for patients to drink water before the exam; hydration can cause the veins to bulge, making it easier to see the problem. While full consultations are not free, they are partially or completely covered by most insurance companies, especially if the policy covers specialist visits. 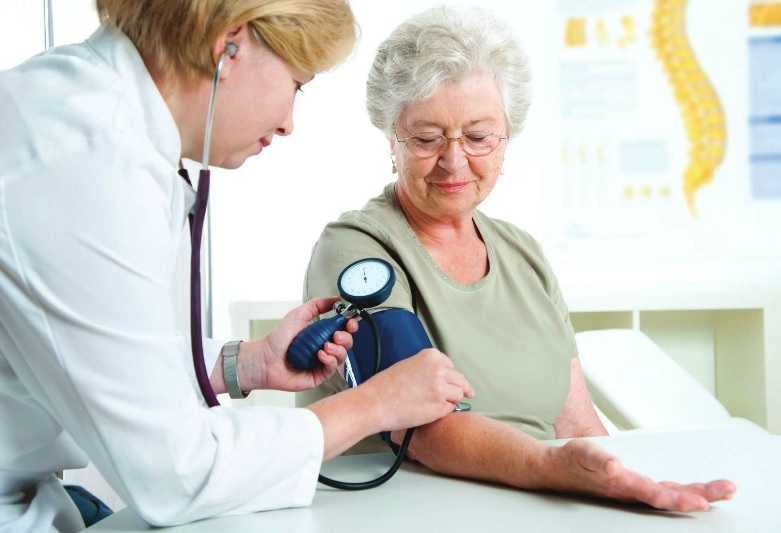 Those with Medicare and supplemental coverage usually pay no out-of-pocket expenses. So, if you’ve been considering an evaluation from a certified phlebologist, don’t wait. It’s always the right time to improve your vein health. Women are more likely than men to have venous disease, including varicose veins and spider veins. 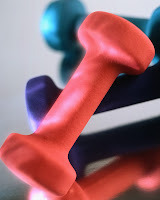 But men are more likely to suffer from the worst vein problems, such as ulcers. Why is this the case? One reason is that women tend to get help for their vein issues right away, while men will often wait until the problem becomes too painful to ignore. Leg wounds that won’t heal is often the result. Even men who are athletic are susceptible to venous disease. The important thing is to seek help for vein issues as soon as symptoms present themselves. For both men and women, venous disease is a medical issue, not a vanity issue. Conditions like varicose veins get worse with time, so the longer someone waits, the more extensive the condition—and the treatment. Leg fatigue or heaviness – When legs feel good upon waking but are intensely tired or heavy at the end of the day, this is an early warning sign. Swelling – Swelling can be caused by many things but also serves as a very early warning sign for vein problems. In any case, legs that frequently swell shouldn't be ignored. Skin changes – Redness, skin thickening or other color changes on the legs and/or ankles is a common (and commonly overlooked) symptom. Other skin changes, such as dermatitis, cellulitis, dry or scaly skin, or brown “stains” on the skin can be signs of advanced venous disease, and should be evaluated by a physician. Spider veins – Spider veins are blue or purple-colored veins that occur under the skin but are close enough to be seen on the surface. Treating them can improve appearance, as well as stop the progression of venous disease at its source. Ulcers – An open wound on the leg or ankle that fails to heal can be the result of ongoing venous disease. In fact, “venous stasis ulcers” in the leg are often an indication that venous disease has reached an advanced stage. Venous disease is a progressive disease that is not curable, but for most people, even debilitating symptoms are completely treatable. Treatment can stop the progression of the disease and restore health and quality of life for both women and men, so everyone can enjoy many happy, healthy Father’s Days. Is it better to run barefoot? Why are compression stockings a mainstay of care for pregnant women? What is the source of plantar fasciitis? A recent episode of Maine Calling on MPBN focused on these and other questions about our lower half – from varicose veins to the causes of joint pain. In our lifetime, it’s very likely we’ll be challenged by issues arising from our feet, legs, or hips. This month, Keith Shortall welcomed three physicians that specialize in these regions of the body. Join Keith, Dr. Cindy Asbjornsen, founder of the Vein Healthcare Center in South Portland, Dr. Brian McGrory of Maine Medical Partners Orthopedics, and Dr. Kenny Maisak of Portland Foot & Ankle to get some of the most common questions answered about the parts of the body charged with supporting us from below. Listen to the show. Learn more about Dr. Cindy Asbjornsen. Spider vein is the common term for blue or purple-colored veins that occur under the skin but are close enough to be seen on the surface. They are similar to varicose veins but smaller, and like varicose veins, they can cause physical discomfort and be a source of embarrassment and self-consciousness, especially during the summer season. If you have spider veins, some simple tips can help you feel better and help stop their progression. 1. Elevate your legs above your heart as often as possible— for as long as 30 minutes or as briefly as three minutes. The ideal time is after you have been standing for a long period or after a hot shower. 2. Sit properly. Focus on good posture and avoid crossing your legs, or sitting in ways that can compress veins for prolonged periods. 3. Walk. Walking causes the rhythmic contraction of calf muscles and helps promote blood flow to the heart. Just 30 minutes every day—all at once, or in shorter increments. 4. Contact a board certified phlebologist for an evaluation. In the past, treatment for spider veins has been considered merely cosmetic, but they can be the tip of the iceberg. You've got options. Find out more about venous disease and its treatment, or contact the Vein Healthcare Center to schedule an appointment to get started with your vein care. Spider Veins: Appearance or Something More? Telangiectasia is the technical term, but most people know them as “spider veins.” The tiny red-, blue- or purple-colored veins occur just below the skin but are close enough to be seen on the surface. They may appear as short fine lines, clusters, or in a spider web shape. Treating spider veins can improve appearance, and that can be a tremendous advantage for those struggling with them. But spider veins can also be an indication of early stage venous disease; treating them not only can improve appearance, but can also help stop the progression of venous disease at its source. 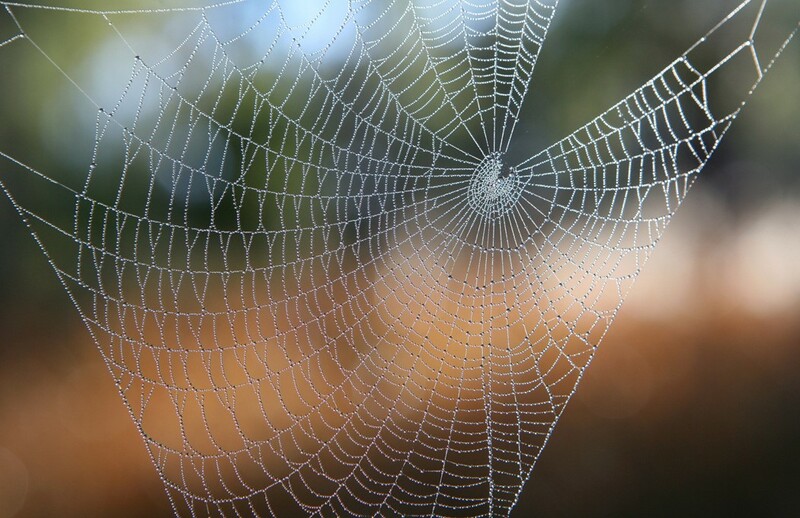 Are Your Spider Veins a Symptom of Venous Disease? Vein health is a continuum, so while spider veins may appear minimal, there could be a larger vein ‘leaking’ underneath. A basic understanding of how veins work can help one understand what causes disorders like spider veins. Veins carry blood from the legs and arms back to the heart. The blood in the legs travels up against gravity, so when the valves in the veins become damaged, blood “leaks” back into the legs and creates a “pooling” effect. Effective treatment of spider veins begins with a thorough evaluation from a qualified phlebologist who will look for the source of the problem: the leaky valve or valves. An ultrasound is the best way to accurately determine the problem. Then, the physician can recommend the appropriate procedure or therapy. Sclerotherapy is frequently used to treat spider veins. In this procedure, small needles provide access to the vein so that a sclerosing agent can be injected into the vein's interior wall. This substance causes the vein to become sticky and seal shut, allowing it to disappear. Blood then finds a healthy path back to the heart. While these effective forms of treatment can be the solution to better looking legs, it's important to remember that they can be part of maintaining good health as well. You can learn more about spider veins and their treatment at The American College of Phlebology, where you can read about Vein Conditions and Treatment including information about sclerotherapy and other forms of treatment. You can also get the answers to common questions about vein disorders at the Vein Healthcare Center and request an appointment with a board certified phlebologist. Mother’s Day is a time to celebrate being a mom whether you already have a family or yours is just beginning. It’s a perfect time to celebrate good health as well. If you are pregnant, being an expectant mom can be full of surprises. Some of them, like the appearance of varicose veins, just aren’t welcome. First Trimester: The first trimester is an especially important time to think about vein health. Women with known risk factors for venous disease should consider wearing compression stockings throughout the first three months of pregnancy and possibly longer. Specially designed maternity graduated compression stockings are available with a doctor’s prescription or at many maternity stores – check with your doctor before you purchase. Second & Third Trimester: While the most damage seems to happen in the first trimester, the second and third trimester may also carry some risk of developing varicose veins. The volume of blood in a healthy woman increases to about 50% more than before the pregnancy, with the largest increase in the second trimester. With more volume to move, all of the blood vessels are under increased stress. In this final trimester, the uterus continues to expand and put pressure on the veins in the abdominal region. Wear graduated compression stockings, especially in the first trimester. Exercise often—even a brisk walk will help circulation and reduce symptoms. Frequently pump the foot (heel to toe), even if on bed rest. Avoid tight clothes or high-heeled shoes. Gain only as much weight as recommended by the obstetrician. Take a pre-natal vitamin daily. others continue to suffer with them. There are many options available to treat varicose veins. You can find out more about varicose veins and their treatment at the Vein Healthcare Center. Happy Mother’s Day & happy vein health! Varicose veins are visible veins in the leg that bulge, often protruding through the skin. They are the result of venous insufficiency: blood that pools in the vein because of a faulty valve and causes the protrusion. Varicose veins are a symptom of early stage venous disease. They affect approximately half of the U.S. population, and in addition to causing pain and discomfort, those with varicose veins struggle unnecessarily with their appearance. When Dr. Cindy Asbjornsen began her practice, she was entering into a new and growing sector of medicine. 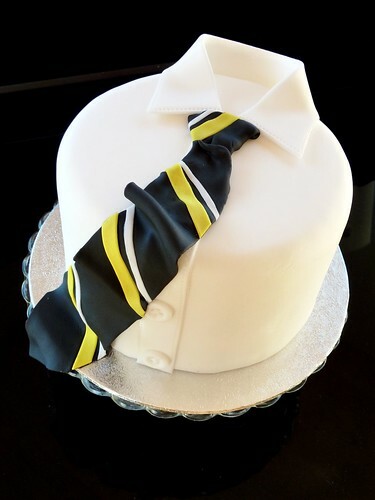 “It was truly a dream of mine to provide great service, to do quality research, to contribute to the field of phlebology, and to provide education to other physicians. It’s becoming reality as I speak,” Asbjornsen told KeepCurrent.com about the opening of The Vein Healthcare Center almost a year ago. The interview was conducted as part of a spotlight on entrepreneurial women working in the state of Maine. According to the piece, Asbjornsen was working at another vein center in the Portland area, but realized that she wanted to be able to spend more of her time doing research, quantifying data, and helping to train new practitioners in the field. By establishing The Vein Healthcare Center in South Portland, Maine, where she treats all aspects of vein health for patients in all stages of venous disease, Dr. Asbjornsen not only helps to welcome a new era of health care in the field of Phlebology, but is making her own contribution through research and efforts to help increase public awareness about vein disorders. Read the interview with Dr. Cindy Asbjornsen. When Dr. Asbjornsen opened the The Vein Healthcare Center, her goal was to provide patients, physicians, and the general public with an exceptional resource for medical treatment by a leading vein specialist. Dr. Asbjornsen is a nationally recognized vein specialist, member of the American College of Phlebology, and a board certified phlebologist. She received specialty training from leading phlebologists, and provides treatments that include ambulatory phlebectomy, sclerotherapy, endovenous ablation techniques, laser treatment, ultrasound evaluations, and radiofrequency closures. Such therapies are a far cry from the treatments of yesterday, when “vein stripping” was the considered the standard of care, and many patients' symptoms were left untreated. As part of Dr. Asbjornsen’s dedication to advancing the standard of care in venous disease and treatment, she is helping a new population living with the symptoms and complications of all stages of venous disease live a fuller, healthier, more comfortable life. Her message to those suffering with the challenges of venous disease is that patients can benefit from today’s minimally-invasive therapies with very little pain and outstanding success rates when performed by an experienced, board certified phlebologist. By serving communities in Maine and New Hampshire in her practice, she has seen her dream realized and has helped many individuals in the process. You can contact The Vein Healthcare Center for more information about treatment, or to find out about informational seminars for the public sponsored by the center. You can also get started with your own vein care now by making an appointment. During the month of March, we celebrated the historic achievements and contributions of women whose roles ranged from suffragists to entrepreneurs. This month, in keeping with the salute to women, we celebrate those who contributed and continue to contribute to the development of Phlebology as a medical specialty. 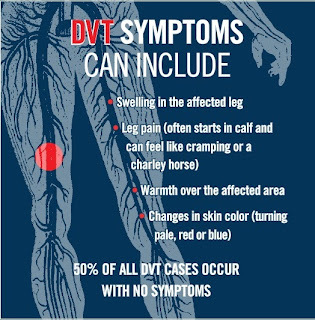 The U.S. has one of the highest incidences of venous disease in the world. Because of the widespread nature of its symptoms, it is considered a significant public health issue. Historically, venous symptoms were often left untreated. This was due to poor levels of public awareness, the lack of quality treatment options and discouraging outcomes. 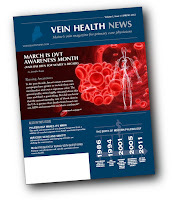 Today, public understanding of venous disease is on the rise. Injection therapies such as sclerotherapy, surface laser treatments, and other non-invasive closure procedures including EVLA have become the gold standard of care, and these innovative forms of treatment have transformed the way the medical community views diagnosis and treatment of venous disorders. Helane Fronek MD, FACP, FACPh entered the field of phlebology in 1985 and has been an integral part of its development. As part of her work in the field, she served as the Director of the Varicose Vein Clinic at Scripps Clinic, where she provided cutting edge treatment for the entire spectrum of superficial venous disorders and conducted research on venous leg ulceration, compression therapy, and emerging therapies for varicose veins. She is past president of the American College of Phlebology, the largest medical organization devoted to vein care. Dr. Fronek was the first recipient of the American College of Phlebology’s prestigious Leadership Award, and she is well known for authoring The Fundamentals of Phlebology, a medical textbook used by most Phlebologists entering the field. She is a respected speaker and educator in all aspects of diagnosis and treatment for venous disease and communication in the medical arena. You can read more about Dr. Helane Fronek, or read about her Coaching and Consulting for Physicians. It is estimated that 80 million Americans have some form of venous disease. If you are a primary physician, it is very likely that you are treating patients who are experiencing symptoms of this disease. 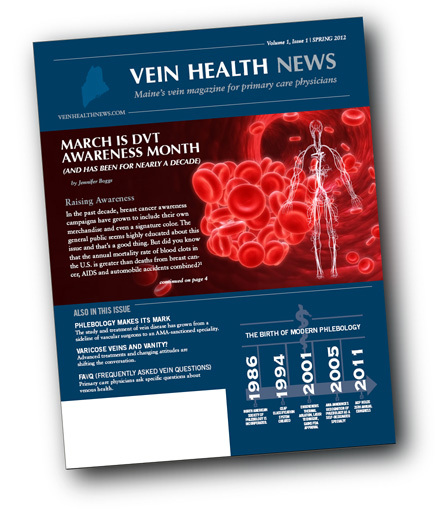 Read the latest issue of Vein Health News and subscribe to be sure you have the latest information about the impact of venous disease symptoms and its available treatment options.